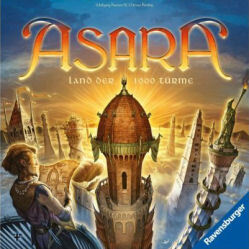 Played Asara for the first time this afternoon as a 3 player game and thought it worked really well. 4 player may be even better as there will be more competition for the best locations. The fourth issue of the digital magazine is now out, with features on this year's Essen fair, interviews with Zev Schlasinger and Martin Wallace, several reviews including Castle Ravenloft, Totemo and Dixit, plus more in its 62 pages. You can see the magazine here. 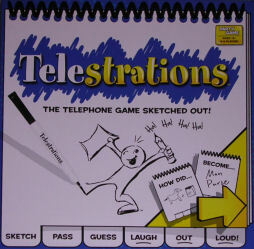 This had to go to Telestrations, which is a brilliantly simple party game that is really well executed and presented. We played four times over last weekend and it was a load of fun. ...arrived today. 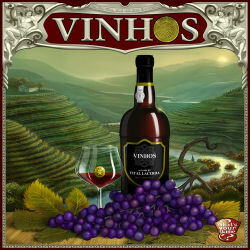 Troyes is another game that uses dice in interesting ways; Sid Meier's Civilization: The Board Game is the latest take on the computer game of the boardgame; and Vinhos is a complex looking game about wine. And all three games take 2-4 players only. Too many of the new games this year seem to max out at 4 players, which sometimes makes it difficult to find the opportunity to play. 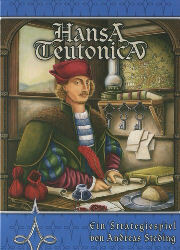 I received a review copy of the party game, Telestrations, today from the US publisher. Looks like a good one to play at Christmas. Just a reminder that next weekend is Midcon. This will be the 32nd year and will take place from 19th - 21st November 2010 at the Thistle Hotel, Birmingham. More information is here. 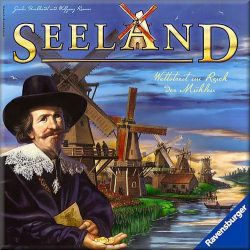 Played a two player game of this Stefan Dorra game against Jan this evening and found it a very nice light game. With two, there is quite a bit of space and you expect to get a good number of tiles. I expect with more players the game gets quite a bit more cut-throat. Very keen to try again. 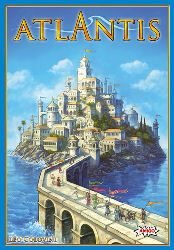 The winner of the Spiel der Spiele (the Austrian game of the year) went to the excellent Atlantis, designed by Leo Colovini and published by Amigo. This is a great game and a good choice in my opinion. More details (in German) are here. 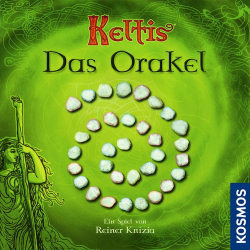 Last night, it was time to try out the latest Keltis incarnation. This version has a single spiral track and adds other ways of scoring points. The priestess complicates the thought processes you need to go through and so may not be good for over-analytical players. However, I liked it although it seemed no better or worse than the original - just a solid design. 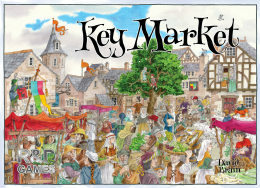 Eric Martin reports at Boardgamenews that the next release from R&D Games is Key Market but this latest game in the "Key" series is not designed by Richard Breese but by David Brain. I'll certainly be looking out for this one at Essen. 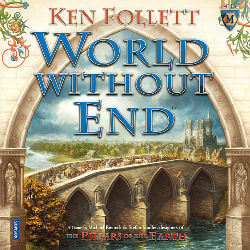 Chris, Jan and I played this elegant design from Gunther Burkhardt and Wolfgang Kramer and thought it great. Simple rules and some great tactical choices to be made meant this went down very well with all of us. 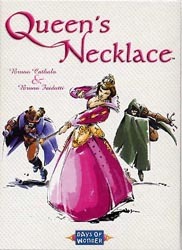 Comes with variant rules to add more to think about but plays really nicely just with the basic rules. Chris and I played this Rudi Hoffmann design from the 2 player Kosmos series and it wasn't nearly as bad as its reputation on Boardgamegeek would suggest. It's actually an interesting little abstract of positioning and capture, although the theme of swimmers transforming into crocodiles is very odd and I can't see much advantage in not transforming your pieces sooner rather than later. Chris crucified me 5-0, as I forgot his last piece had not transformed and he proceeded to gobble up my most valuable crocodile. I'm a bit tardy mentioning this as it's already up to issue 3 but thru-the-portal is a quarterly British online boardgaming magazine produced by Neil and Laura Meyer. The latest 56 page issue contains reviews of Stone Age, Fast Flowing Forest Fellers, A Brief History of the World and Loot among others and several general gaming articles. You can get the magazine here. Having failed my last mission to get below 20 unplayed games by the end of June 2010, I've decided the sequel will be a bit more tightly focussed. So, my mission (should I choose to accept it) will be to have 10 or fewer unplayed games by the time I go to Essen - 21 October. This message will self destruct in five seconds. 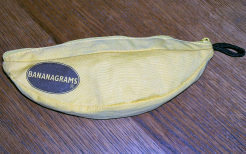 This month's best new game I played was a toss up between Farfalia and Banangrams, neither of which are particularly new but were played by me for the first time in July. I went for Bananagrams as it's quite rare that I really enjoy word games and Farfalia only works with five players to my mind. Is this the shortest game ever chosen for game of the month? Probably. Hooray! This year's trip to the Mecca of gaming is well and truly booked. As usual, flying out early on Thursday 21 October in order to get there at or around opening time, and returning on Friday evening. Can't wait! Well, I'm back in the UK after 10 very hot and humid days in Cyprus. Coolest place was the air-conditioned bedrooms so managed to play several board games. 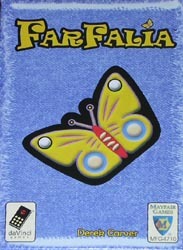 Five more off the unplayed list, including Derek Carver's Farfalia, which is a very nice trick-taking game, with dealer playing against two teams of two in the five player version. Bananagrams continues to be good fun (I won with a grid that included the word "FARTS") and I've decided I slightly prefer Jaipur to Drachenherz even though both are great two player games. I also managed to play the two player Pillars of the Earth: Builders Duel and found it to be ok but nowhere near as engaging as the origianl or World Wihout End. The new issue of Spielbox arrived today. 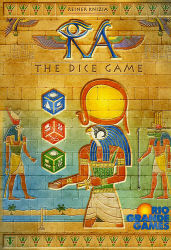 It includes good reviews of Knizia's Jager und Sammler, Fresco, Macao and Speicherstadt among others. There's also a free co-operative game, Spook by Spook by Matthias Prinz included. When I go on holiday, I always take with me the box for Pig Pile and the box for Mhing. However, a secret lies within both of those boxes as Pig Pile contains all the cards to Dominion and Mhing contains as many small games as I can stuff in it. This time, it's got Tin Soldiers, Drachenherz, Murdero, Meuterer,Gang of Four, Auf Falsche Fahrte, Handelsfursten, Farfalia, Jaipur, PotE: Builder's Duel and Sushizock in Gockelwock. Well, at least they will if the game follows the Weykick game that Chris and I played immediately before kick-off. It was extremely close with Spain (me) eventually coming out on top 10-9. Not predicting quite as high a score in the real thing. My new favourite word game. Tense and fun to see the words people create. We played twice - Jan easily won the first; the second saw several dubious words being suggested before Catherine won. 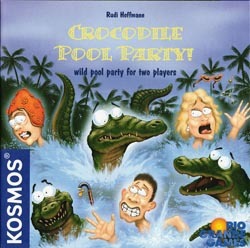 Great fun for a game that takes 5-10 minutes a round. Here is another award that I'm late in reporting on. This is worse than the SdJ as I actually had a vote on this result. Anyway, the winners were Small World, Hansa Teutonica and Endeavor. All good games but my vote went to HT, Macao and Roll Through the Ages. Eric Martin has just unveiled a new look for the premier game news website Boardgame News. The new design looks good but today pages seem to take an age to load. I'm sure this is just a temporary thing but I need it to be as speedy as it used to be so I can get my fix of game news instantaneously. 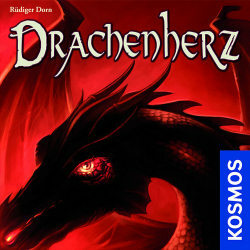 I decided to give this to Drachenherz, a two player card game designed by Rudiger Dorn and published by Kosmos. It's another game with tough choices on which cards to play when but all wrapped up in short playing time. Not sure if this or Jaipur is my favourite 2 player release this year. 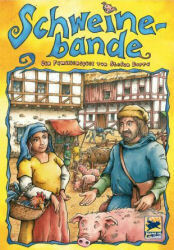 Only a week late with this news but the winner of this year's SdJ was Dixit, designed by Jean-Louis Roubiraand (with spectacular art by Marie Cardouat) and published by Asmodee. Congratulations to all concerned. Last night, Jan, Chris and I played this Days of Wonder game that I've been trying to knock off my unplayed list for ages. It was pretty good fun and Chris did a good job of disguising how many diamonds he had picked up before the final jewel sale. Consequently, he scored big as diamonds was the most fashionable gem that round. With the new Days of Wonder game, Mystery Express, appearing in the UK this week, I decided to have a go at picking the cream of their releases to date. Jan and I played Jaipur last night, a fabulous card game by Sebastian Pauchon and published by GameWorks. Lots of tricky decisions about when to collect camels, exchange goods and how quickly to cash the goods in for treasure tokens. Best of three rounds means games last about 20-30 minutes. I really enjoyed this a lot. 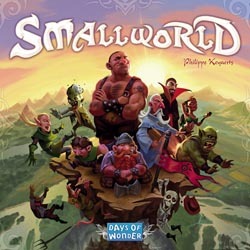 Played this follow-up to Pillars of the Earth with Chris yesterday and enjoyed it a lot. Working out the best way to generate points was interesting and the perm six from twelve actions each round was novel. Chris did the better job as he scored loads of points by building up his medical knowledge and curing several villages from the plague. Ended up 65-56 to him. Interested to see how it plays with four as there should be more competition for building projects. Played this again the other night with Jan and Chris. I'm still not sure about this one. I like the ideas behind it and the multiple areas you need to play in but I'm not sure if it gets hindered by the randomness of how long each round lasts. This time, we had a long first epoch, the second was so short none of us got to re-flood our Niles and the third was somewhere in between.